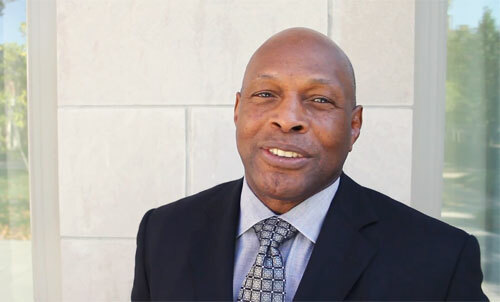 GIBSONBURG, OH — Former Ohio State two-time, Heisman Trophy winner and College Football Hall of Famer, Archie Griffin, will be the keynote speaker July 24 at Parker’s Purpose Foundation annual Dinner & Chinese Grand Auction at Old Zim’s Wagon Shed. The event is from 6 to 11 p.m. and includes a buffet-style dinner, Chinese auction, prize ball draws and conclude with a grand auction for bigger items. Source: TheNews-Messenger.com. Todd Drusback, president of the Parker’s Purpose Foundation, noted tickets are available and donations are currently being accepted for the auction. He also reported tickets are $65 each and $450 for a table of eight. Tickets include dinner and beverages. The foundation is selling 400 tickets. The foundation is also participating in the 13th Annual Big Charity Raffle for a vehicle donated by Baumann Auto Group. The winner may choose from a 2015 Chevrolet Camaro, Dodge Challenger or Ford Mustang. One hundred percent of the ticket proceeds sold by the Parker’s Purpose Foundation stay with the foundation. The drawing is Oct. 3. Cost is $5 per raffle ticket. The foundation benefits, Parker Ink, a sophomore at St. Joseph Central Catholic High School. Parker was diagnosed at the age of 6 months with Congenital Muscular Dystrophy. He is mobile with the use of a power wheelchair, which he has used since he was 2 years old. Watch Archie Griffin, Ohio State University icon and member of The Columbus Foundation Governing Committee, share his inspiration for “paying it forward” before a Your Philanthropy discussion on October 17, 2011. Considered the greatest football player in Ohio State history, Archie Griffin is the only two-time Heisman Trophy winner. Griffin played seven seasons in the NFL with the Cincinnati Bengals. He is college football’s only two-time Heisman Trophy winner. Griffin won four Big Ten Conference titles with the Ohio State Buckeyes and was the first player ever to start in four Rose Bowls. Sports Speakers 360 is a booking agent for pro athletes. If you would like to book Archie Griffin for a speaking engagement, appearance or endorsement, contact Archie Griffin’s booking agent for fees at 1.855.303.5450.